PaceSetter Air Conditioners | ACT Heating & CoolingACT Heating and Cooling, Inc. When you invest in a PaceSetter Air Conditioner, you are purchasing long-lasting comfort at a great price. Your PaceSetter High-Efficiency Air Conditioner is designed to provide you with years of quiet, trouble-free cooling and cost savings (uses less electricity), as compared to lower SEER units. Our durable, energy-efficient PaceSetter Air Conditioners are manufactured with high-quality components that you can rely on. The unit’s louvered sound-control top helps ensure quiet, vibration-free operation,and its high-efficiency condensing coil is manufactured with high-quality, refrigeration-grade copper tubing and aluminum fins in a design that maximizes surface area. With the exceptional materials, engineering, and workmanship that are part of every PaceSetter product, we confidently back up our Air Conditioners with reassuringly strong warranties, a testimony to our faith in the quality of this product. 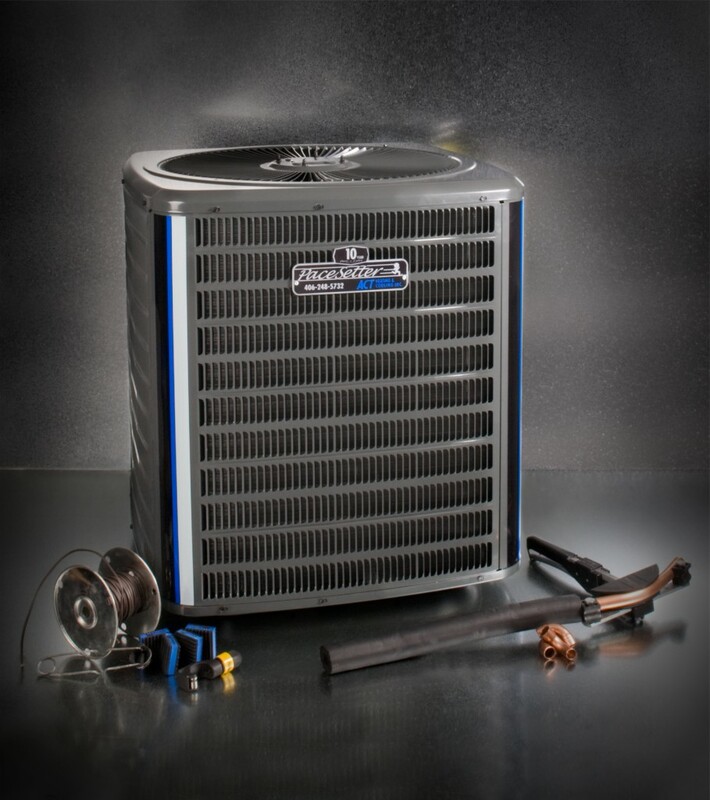 The PaceSetter Premium 16 High-Efficiency Air Conditioner is protected by a Lifetime Compressor Limited Warranty for as long as you own your home, and a 10-Year Parts and Labor Limited Warranty on all functional parts.